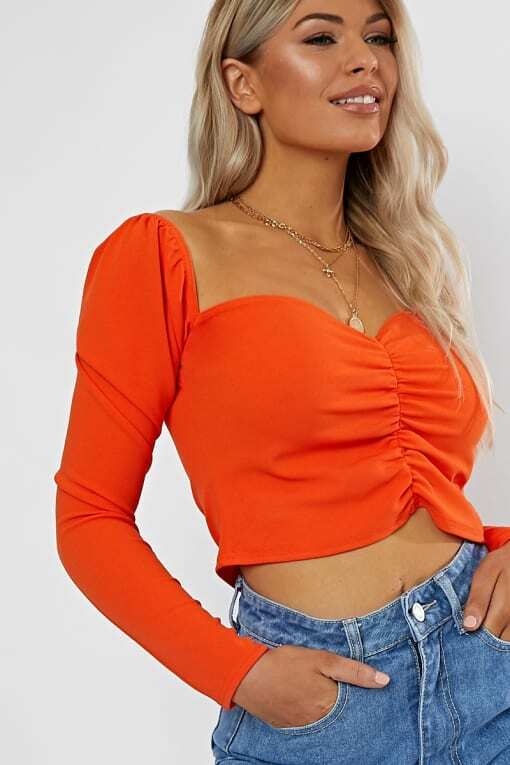 There is nothing we don't love about this insanely cute puff sleeve top. 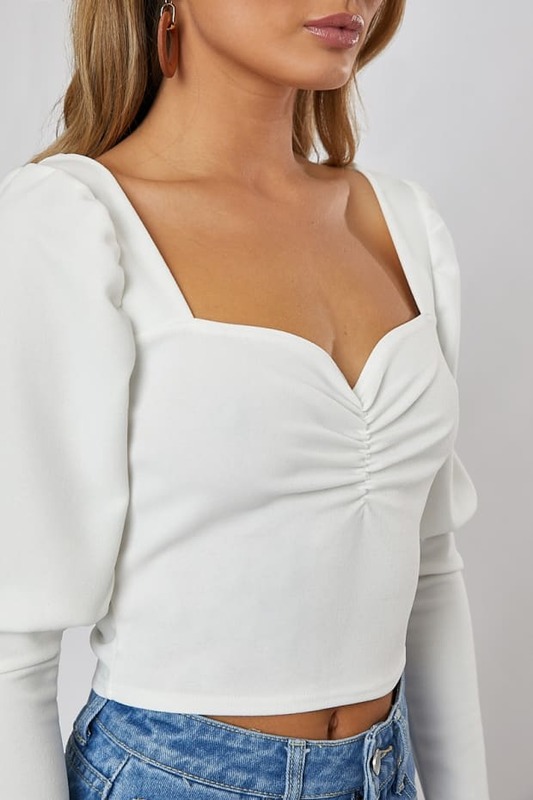 In a chic white hue, flattering neckline and ruched front, this crop is a must-have. 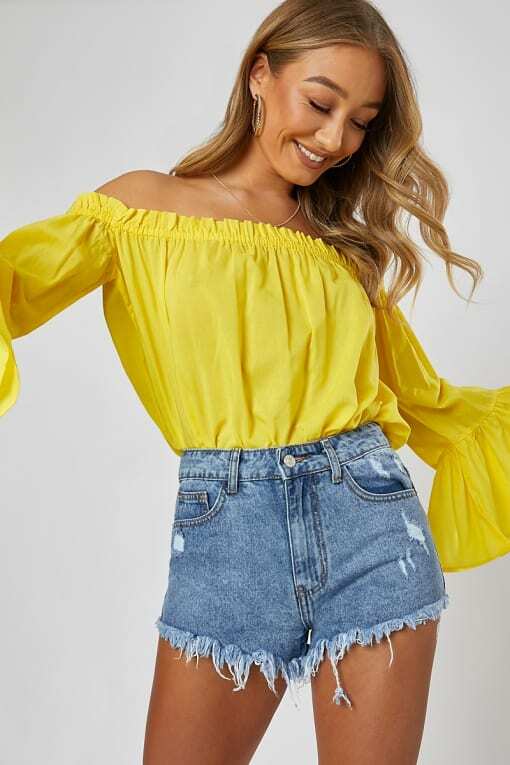 Team with shorts and heels for the perfect outfit.